Not so long ago I was very pleased to announce that Viz where going to release MAGIC: THE GATHERING – CONCEPTS & LEGENDS. In my original announcement I had said that this book would be the ultimate guide to the quintessential trading card strategy game for both longtime fans as well as any pop culture aficionado. But I was joyfully wrong, the book is so much more than that. On it’s surface the book is filled with delightful little blurbs about places, creatures, characters and filled with beautiful art but once you sit down and start ingesting it, you will be treated to much more. 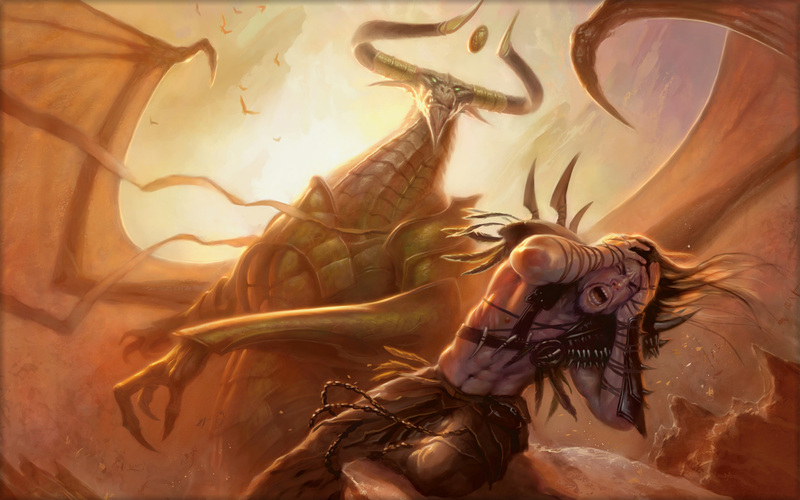 Of course worlds are nothing without life, the demons, denizens and dragons of Magic the Gathering are wild and varied, some serve a higher calling while others serve themselves, in the end they will all serve you. This wondrous book shows you the development and in many cases redevelopment of these beasts and peoples. Humans, Elves, Catfolk, Vampires and so much more are shown in great and facinating depth. Then again these peoples would be nothing without their heroes, The Planeswalkers. 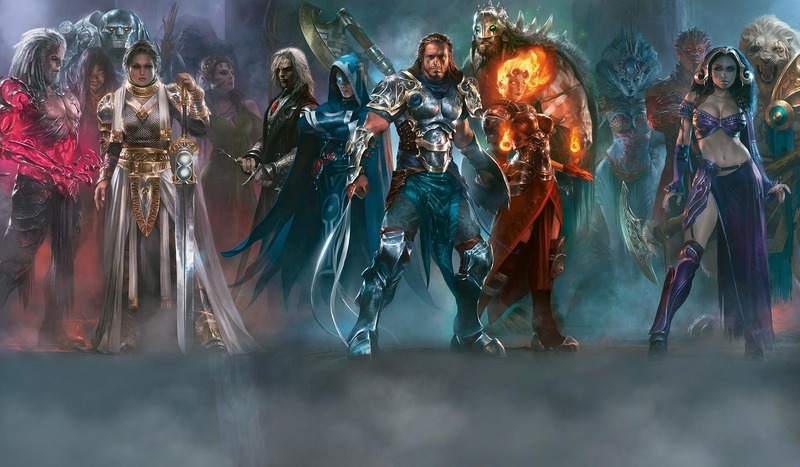 In the storyline of Magic: the Gathering, planeswalkers are among the most powerful beings in the multiverse. Within the game, they represent the thematic identities of the players. Planeswalker is also a card type within the game. If you have ever read any of the lore around Magic The Gathering then you will know that the majority of their tales deal with the Planeswalkers. Concepts & Legends has information on some of the most famous walkers such as the Elven Nissa Revane, The telepathic Jace Beleren and of course the evil Nicol Bolas. But this tome does not stop there as it delves deeper and shows us Uzra, who is a legend among MTG players. 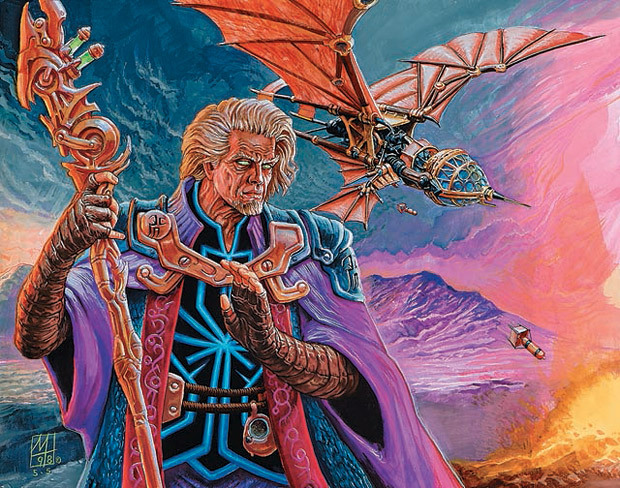 It helps redefine him for a new generation of players and even redesigns some of his creations .Though it’s not just the old that gets revealed to us they even show us the creation of their newest Planeswalker, which was just epic. I maintain my original analysis in that this book is not just for fans of Magic The Gathering, it is for anyone who wants to create. 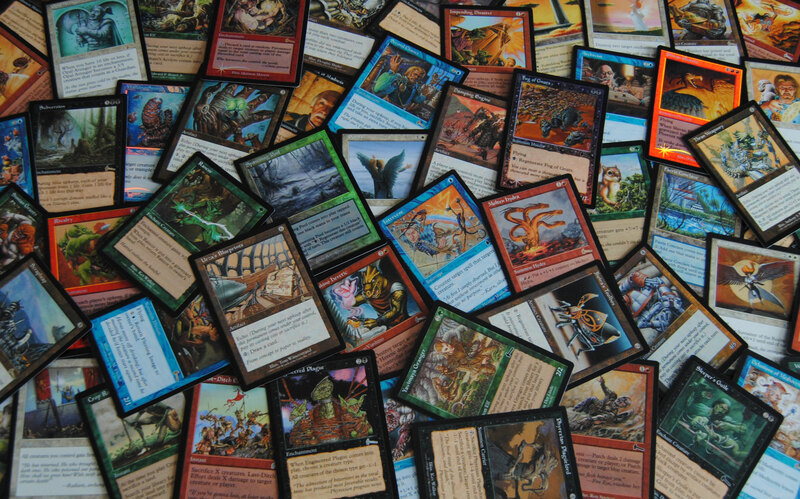 MAGIC: THE GATHERING – CONCEPTS & LEGENDS is inspirational and fascinating, after all it is the map for the inner workings of a game that has been played for 25 years, a game that is truly beautiful its own enduring yet brilliant way. This deluxe slip-cased, hardcover volume with collectible art prints provides readers with a rare glimpse of the creative process behind the evolving art and design of Magic: The Gathering. You really wont need to be a fan to even enjoy this, the book takes us behind the scenes to look at how Wizards of the Coast team develop the look and feel of the characters, planes, and creatures of the world’s most popular trading card game. 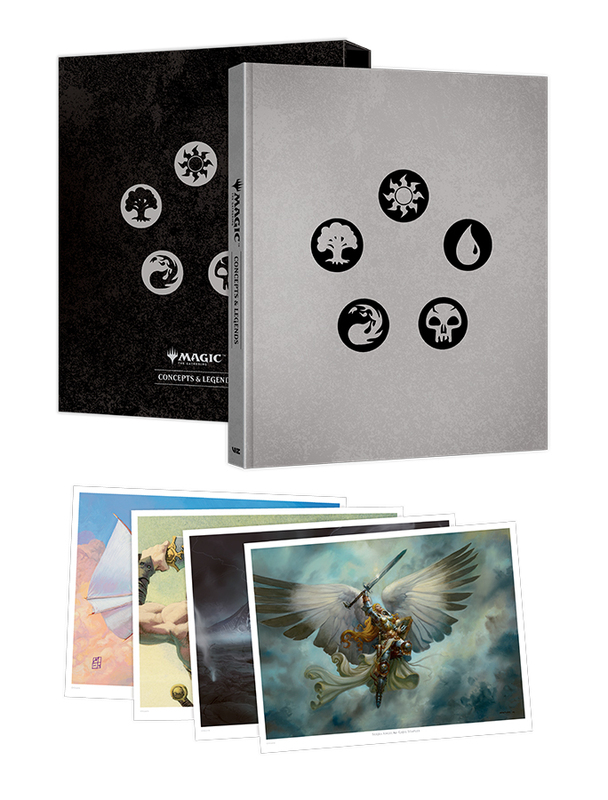 Celebrating the 25th anniversary of Magic: The Gathering, this beautiful collector’s hardcover book features artwork, sketches and commentary showcasing the expansive world that has captivated generations. This wonderful book is now available, and carries an MSRP of $39.99 U.S. / $53.99 CAN.